Conflict happens. It's a painful reality of life in a fallen world. But we don't need to be content with broken relationships—conflict resolution is possible. God's intention for us and for the world is for all to live in peace with one another, and Christian peacemakers have an unparalleled opportunity to be true ambassadors of reconciliation. Rick Love, founder and president of Peace Catalyst International, shares the principles that have guided his peacemaking efforts around the world. Masterfully blending Scripture and personal experience, he provides a biblical framework for how the God of peace seeks restoration for all who experience conflict—in the home and workplace and even across international borders. With the life of Jesus as the prime example, Love equips and empowers peacemakers of all stripes to integrate evangelical witness with commitment to reconciliation. We can walk in the footsteps of Jesus as catalysts of peace, bringing transformation and hope to a world crying out for healing and forgiveness. "All Christians—from pacifists to just war advocates and everyone in between—should read Peace Catalysts since we can all do better at resolving conflicts. Rick Love's book descends from the abstract level of theory to empower and equip peacemakers. Our families, organizations and communities will be glad that we've read this book!" "This fascinating book provides a refreshing call to arms for Christians and non-Christians alike to think deeply and seriously about becoming peacemakers. Through a masterful blend of Scripture and personal experience, Rick Love makes a compelling case for why each of us should seek to live out the kind of peace that Jesus modeled for believers of every stripe, the 'peace that transcends all understanding.'" "For years I read about 'the God of peace' and 'the peace of God.' For years I prayed that 'the peace of Christ' might dwell within me, and I celebrated the birth of 'the Prince of peace.' Then I started visiting war zones: first Bosnia, later the Democratic Republic of Congo, now the Holy Land. Peace is no longer a pretty notion somehow associated with divine beings. People I meet are dying for peace, literally. This book provides practical guides for helping to create personal peace, interpersonal peace, social peace and peace as an alternative to war. In my life and ministry, I need this book!" "Rick Love has masterfully crafted a text that speaks to peace, a much-neglected issue despite the fact that conflict and lack of harmony are so universal. So in this sense, he has written a book that everybody needs but perhaps does not know they need! Rick Love speaks authoritatively because his wisdom is borne out of personal experience. Biblically sound and interwoven with real, powerful stories, this peacemaking guide will simultaneously open your eyes to the problem and provide helpful solutions." "We wish for it, talk about it, even pray that God will bring it, but few of us really understand the meaning of peace. That's why Peace Catalysts is such an important book. In a straightforward and clear style, Rick Love discusses the theological and practical implications of peace and through stories and examples shows us how to become catalysts for it in our homes and communities. Never shying away from the tough questions, he offers sound wisdom and helpful tools to use for both preventing conflicts and resolving them. This book is an excellent resource for both individuals and groups, and will certainly become a classic." "As conflicts around the world continue to escalate, Christian peacemakers have an unparalleled opportunity to be true ambassadors of reconciliation. This book gives a long-overdue call to the church to embrace the call to be peacemakers in all areas of life while giving concrete lessons on how to do it." 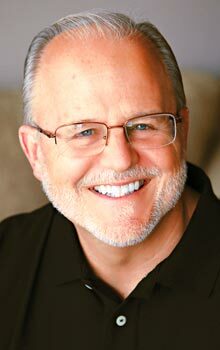 "As pastor of a large church and as a leader who oversees other churches, I found Rick Love's material on conflict resolution to be the most practical, irenic and helpful material I have ever read on this subject. 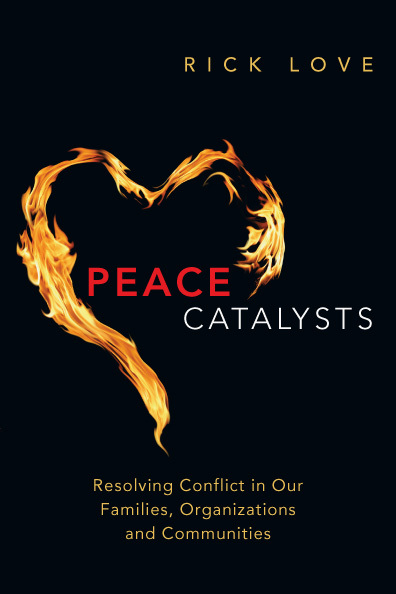 Peace Catalysts is engagingly written and obviously springs from Love's vast experience in leading teams and organizations in a variety of international and local settings. Peace Catalysts is a book for this exact moment in history--a time of partisan rancor and polemical pundits. I love this book and pray that it would get into the hands of every Christian leader." "Peace Catalysts compellingly integrates evangelical witness with peacemaking commitment. Fascinating anecdotes with practical guidance for peacemakers make lively reading. This book is Christ centered and biblically grounded. Rick Love describes with surprising candor the personal challenges of serving Christ as a peacemaking emissary. Those committed to local and global mission will find this book to be a necessary resource in these tumultuous times." "This book is an urgent call to join the journey of peace with Jesus. Rick's personal storytelling approach embodies the old adage 'peace begins with me.' By citing both beautiful and painful personal examples of forgiveness and reconciliation, he draws us into the story of how God is at work today making peace between traditional 'enemies.' There is enduring wisdom here as well as a caution about going it alone: 'Peacemaking is a community discipline.' This story of God's invitation to wholeness, plenitude and peace--shalom--should become our story. There are no shortcuts to peace, it is the work of justice. To get started, Rick equips the reader with eight practical peacemaking steps that anyone can begin to take today. Let us pray that this book begins a robust evangelical conversation about peace at home and around the world." "I couldn't put this book down. It's brilliant and simple at the same time. It is the most practical thing I've seen for being a peacemaker in everyday life for everyday disciples ever. Whether you have a conflict in your family or you're working globally dealing with conflicts, this book is a must-read." "If you desire to know the ramifications of peace—or the lack of it—this book will be a great resource for you." "Peace Catalysts is an extensive how-to manual on peacemaking. Recommend it especially to pastors, leaders and members of church and ministry boards, and Christian executives." Rick Love (PhD, Fuller Theological Seminary) is an internationally recognized expert in Christian-Muslim relations. He is president of Peace Catalyst International, which devotes much of its resources to peacemaking between Muslims and Christians, and serves as associate director of the World Evangelical Alliance Peace and Reconciliation Initiative. Learn more about Rick's reconciliation ministry, Peace Catalyst International.